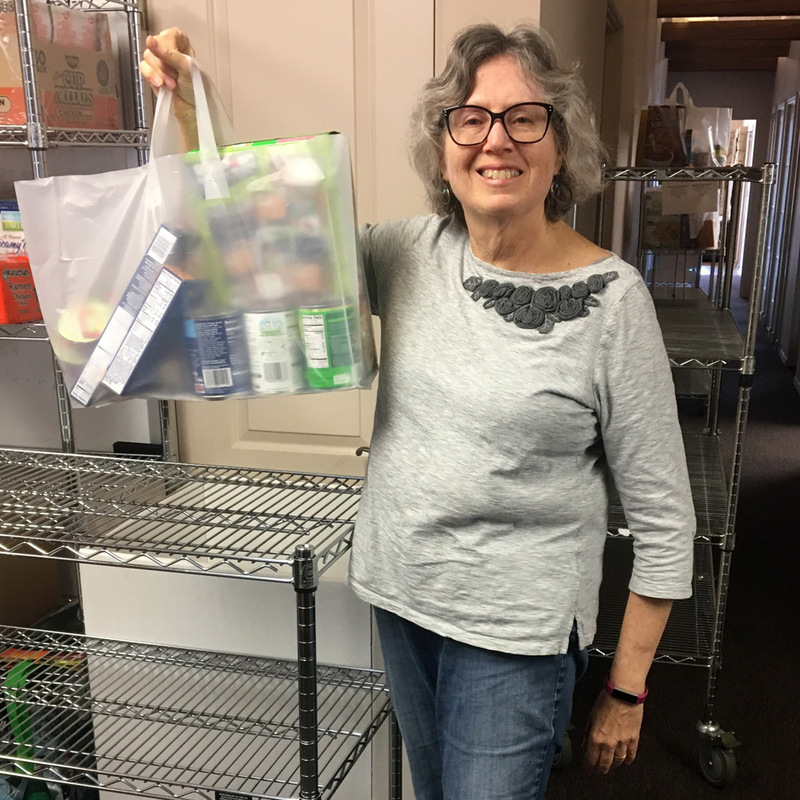 We depend on our weekly volunteers to keep the Food For Kids program running smoothly, including sorting and organizing donations, packing the bags and delivering them to the elementary schools each Friday. We are lucky to have a fantastic and hard-working contingent that we count on week-in and week-out to make this program a success. 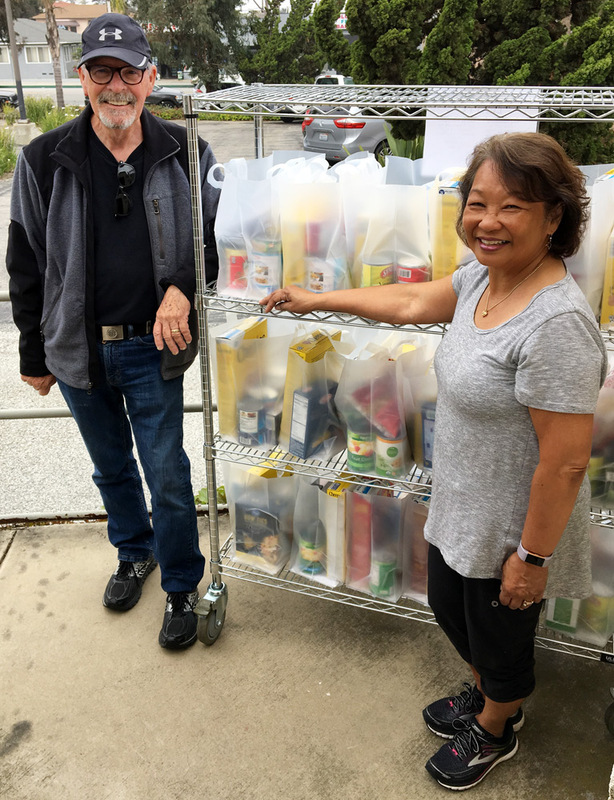 Our volunteer packers include Sue Golden, Joe Gray, Kathy Gray, Sheila Millman, Fe Nulud, Catherine Paez, Krizelle Pum and Dan Selleck. 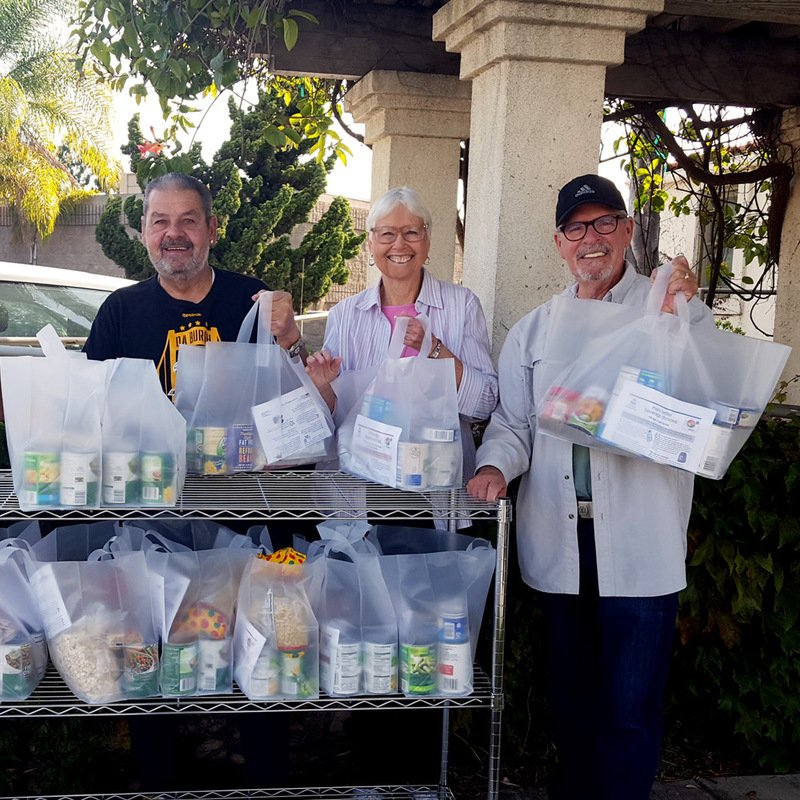 Our team of volunteer drivers consists of Joe Gray, Kathy Gray, Bob Habel, Alan Manack, Joe Millman, Verne Palmer, Dave Sargent and Charlie Saulenas. We also host a booth at the Wilson Park Farmer’s Market twice a month, which wouldn’t be possible without Jean Adelsman and Bob Habel. 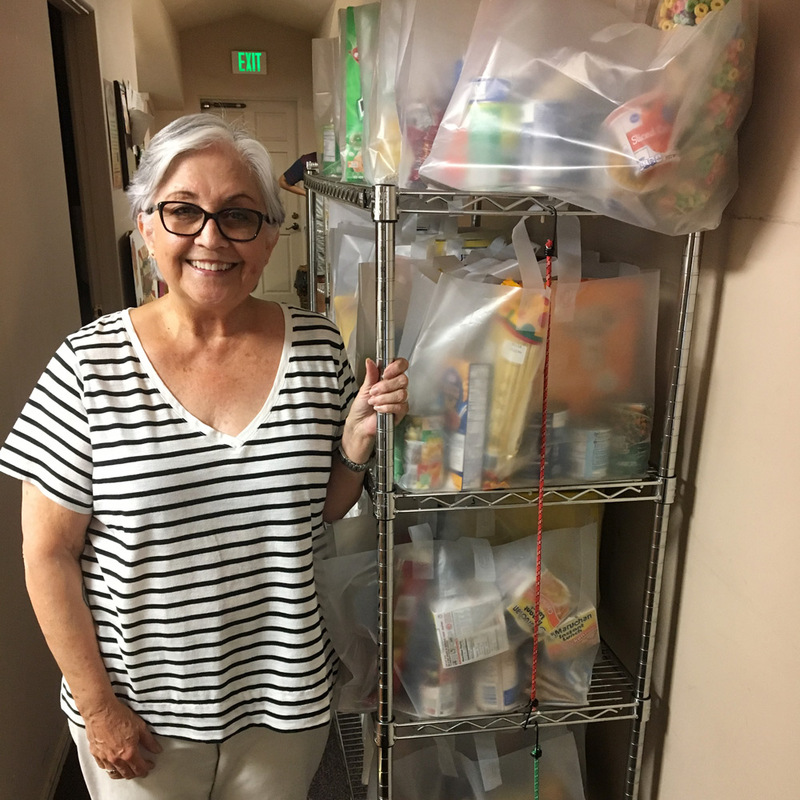 On top of that, members of the Torrance Easter Seals come by weekly to help with Food For Kids and other projects throughout the year. "In addition to making us feel good, volunteering weekly gives us a purpose now that we are retired. Our regular shifts at the Volunteer Center are something we look forward to every week!" "When I retired, I was looking for something to do and I knew I wanted to help others. Food is such an essential thing, and packing bags for Food For Kids is a small job, but it's important. As a former Director of Financial Aid at a community college, I saw the world out there. The world many of us live in is very different than the world the families we serve do... 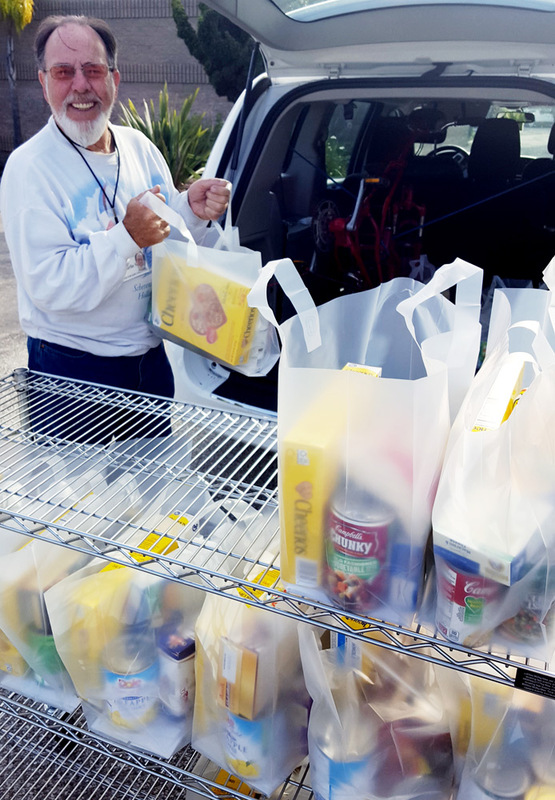 I know if I pack 40 bags each week, then 40 families have something to eat over the weekend." "When I retired from Toyota, I knew about the Volunteer Center because of their partnership. I love helping with Food For Kids and the good feeling it gives me, knowing what I do benefits a family in need on the weekends. Plus, I'm from the IT industry, so I love when things are well-organized. 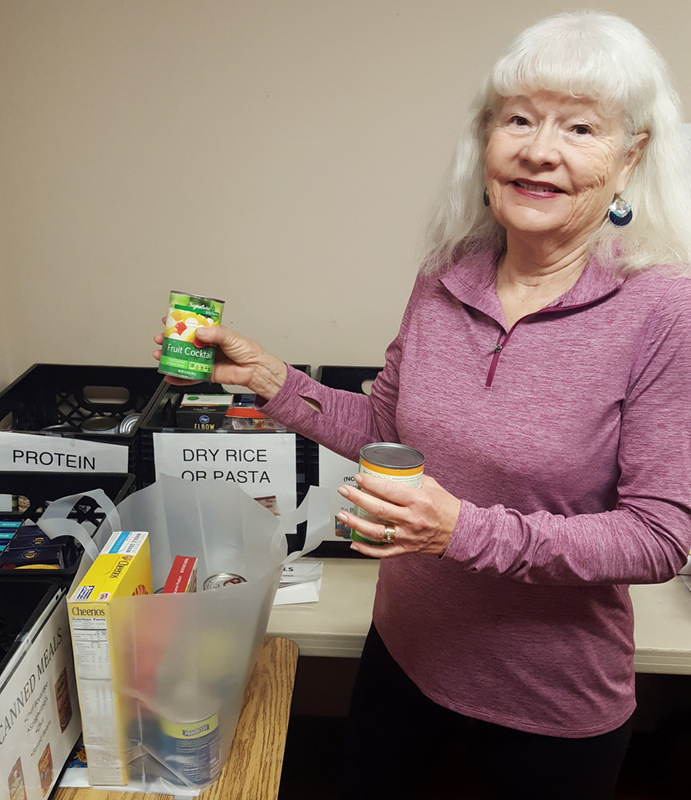 I have fun sorting the food and organizing the food pantry, which makes it easier for us to pack the bags!"